With more than a decade of experience working with a variety of materials for scores of clients, you can rest assured we’re your leading choice for high-precision machining in Malaga. Facet Engineering offers a range of precision machining in Western Australia. If you’re in need of precision engineering services, then there is no better option than our business. We don’t compromise on quality. Contact us today to find out more about the range of services we can offer you. Each member of the Facet Engineering team has been carefully selected for their qualifications and expertise in precision machining. They operate out of our Malaga based machining centre. There, they work alongside the latest mill and lathes ensuring that you have access to streamlined operations, economical rates and fast turnaround times. We specialise in production runs, CNC turning with live tool and bar feed options, vertical CNC milling, manual machining, fitting, threading, as well as other high-quality services. 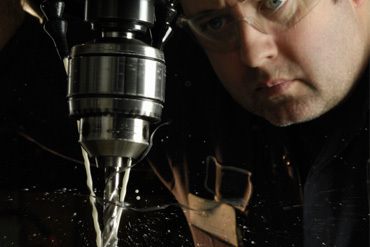 Our highly experienced machinists can assist with all your precision machining requirements. Regardless of your needs, we have the equipment and know-how to complete your job on time, and to the highest standards. Contact us today for precision engineering services in Perth.